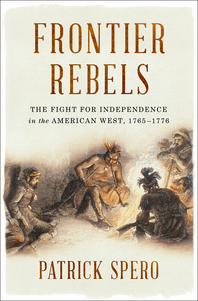 "Frontier Rebels: The Fight for Independence in the American West, 1765-1776"
In this talk based on his new book, Frontier Rebels: The Fight for Independence in the West, 1765–1776 (2018), Patrick Spero will recast the familiar narrative of the American Revolution, moving the action from the Eastern Seaboard to the treacherous western frontier and recounting the untold story of the 1765 rebellion of the “Black Boys.” In doing so, he will reveal an often-overlooked truth: the West played a crucial role in igniting the flame of American independence. In 1763, the Seven Years’ War ended in a spectacular victory for the British, but many Native Americans, fearing that the British Empire would expand onto their lands and conquer them, refused to lay down their weapons. 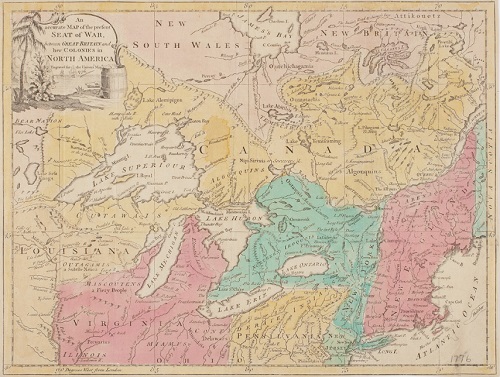 Under the leadership of a shrewd Ottawa warrior named Pontiac, they kept fighting for their freedom, eventually spurring the British to organize one of the largest peace offerings ever assembled. As the cargo moved into the interior of North America in search of Pontiac, a ragtag group of frontiersmen known as the “Black Boys”—dressed as Native Americans and smearing their faces with charcoal—set about stopping this peace deal in its tracks. Furious at the Empire for capitulating to Native groups, whom they considered their sworn enemies, and suspicious of British intentions, these colonists turned Native American tactics of warfare on the British Empire. The outcome of these interwoven struggles would determine whose independence would prevail on the American frontier. Patrick Spero is the librarian and director of the American Philosophical Society Library in Philadelphia. As a scholar of early American history, Spero specializes in the era of the American Revolution. He has published over a dozen essays and reviews on the topic. In addition to Frontier Rebels, he is also the author of Frontier Country: The Politics of War in Early Pennsylvania (2016) and the edited anthology The American Revolution Reborn: New Perspectives for the Twenty-First Century (2016). Prior to his appointment at the American Philosophical Society, Spero taught at Williams College, as well as held the position of historian at the David Library of the Revolution and served on their board of trustees. He currently serves on the board of the Abraham Lincoln Foundation of the Union League and the Consortium for the History of Science, Technology, and Medicine, the council of the McNeil Center for Early American Studies at the University of Pennsylvania, the cabinet of George Washington’s Presidential Library at Mount Vernon, and on the academic advisory board of Benjamin Franklin’s House in London.